MOTORHEAD - ACE OF SPADES DELUXE VINYL (LP+DOWNLOAD CODE) | Online Shop | Wizard LTD. 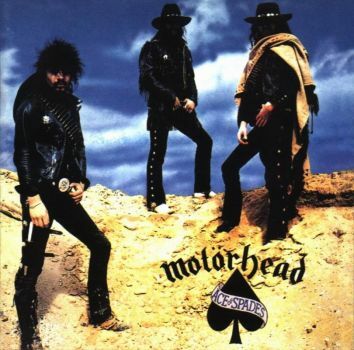 Album: "ACE OF SPADES DELUXE VINYL (LP+DOWNLOAD CODE)"
Vinyl Reissue of Motörhead&apos;s ! " One of the best metal albums by any band, ever" holds up today quite admirably together the critics opinion about " Ace Of Spades". The fourth studio album by Mötorhead shows the band at the peak of their creativity. Singer Lemmy will later claim, " we &apos;ve got him for the first time to sing and not to fool around screaming," and the rest of the band playing under the guidance of producer Vic Maile so compact and stringent as never before.